Diana Allan is a current NYC based freelancer. 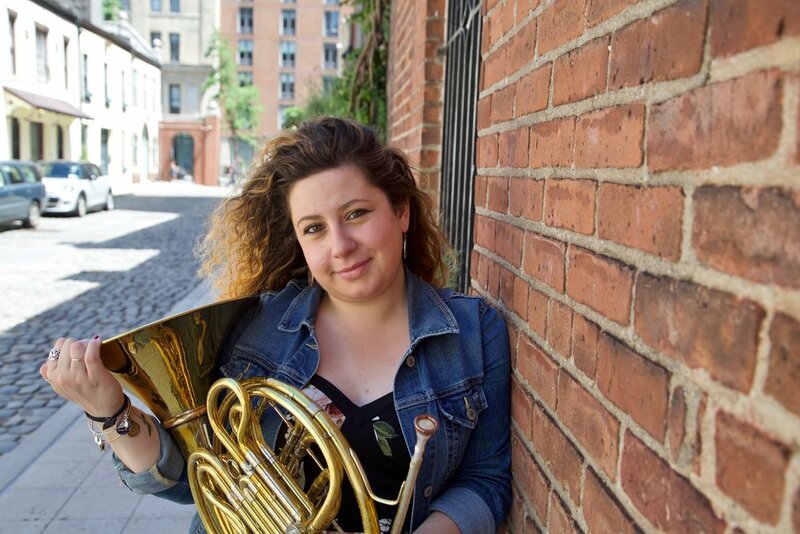 She recently graduated from Mannes School of Music in 2015 with her Masters in horn performance Studying with David Jolley. Previously she obtained her B.M. in Music Education K-12 from Mansfield University and studied with Rebecca Dodson- Webster. In the midst of gaining both degrees, she doesn’t stop there. Diana is currently working on her professional Studies degree at Mannes where she will graduate this spring 2019 with her third degree. Diana is a great advocate for chamber music and has been very active with creating multiple opportunities within NYC for herself and the greater community. At the beginning of last year Diana was the founder of the NYC based horn quartet, Quartado. They will be hosting their largest events this upcoming Spring collaborating with collogues and other artists. Diana was also Co-founder of the group 13th and Broadway. Musicians throughout the tri-state area gathered together to read through different Broadway shows. When not doing music, Diana is a foodie and loves exploring new food and eateries. As well as her love for travel, blogging and photography. Oh….and you can’t forget 80’s music.